By improving the social and environmental impacts of business, we strive for a better future and economy for everyone. Clover Sonoma is a 100+ year old family dairy, creating organic, non-GMO and conventional dairy products. Clover Sonoma hired Heather Paulsen Consulting (HPC) to facilitate its B Corp Certification process in time for its 2017 rebranding debut and a major trade show. HPC ensured that Clover received credit for its multitude of best practices, industry leadership, and commitment to sustainability. NCBC is an independent craft brewery that has been leading the industry for quality beer and social and environmental responsibility since 1988. Thanksgiving Coffee Co. has combined love of great coffee with social, economic and environmental justice since 1972. Thanksgiving Coffee Co. hired HPC to earn B Corp Certification and earn recognition for its best practices and world-changing business model. For more than 30 years, Harvest Market has been the Mendocino Coast’s premier family-owned, independent grocery store. After struggling for more than a year to find the time to complete its B Corp certification, Harvest Market hired HPC to manage this complex project and achieve B Corp certification. KEEL Creative is a marketing and visual communication consulting agency dedicated to providing small, socially responsible businesses with professional design strategy and execution. KEEL Creative is passionate about working with environmental, conservation and grass root organizations to amplify their story. KEEL Creative had begun the B Corp certification assessment, and had gotten stalled along the way. HPC was hired analyze progress to date, make strategic recommendations and provide implementation support to raise KEEL’s B Corp score, and achieve certification within a few short months. HPC worked with KEEL to formalize their best practices into policy and recommend other small changes to raise their B Corp score (such as completing client case studies to include their clients’ social and environmental impacts). KEEL successfully completed the assessment process and became a Certified B Corp with 102.3 points in September 2017. "Heather proved to be exactly what we needed! We were looking for a knowledgeable project manager to help us reach our goal of becoming a B Corp, within 6 months, in a way that would work with our schedule and other business demands. For us, becoming a B Corp felt like a daunting task since we didn't have a lot of time, energy or money to waste to get it done. She worked with us to create a flexible plan that worked with our schedule to achieve our goals and cheered us along the entire time to get it done! Her ongoing positive reinforcement, supreme organization, non-intrusive relentlessness, friendly charm and knowledgeable B Corp insights were an added bonus. If you are looking for a project manager or for someone to help in the B Corp process, I would highly recommend Heather!" 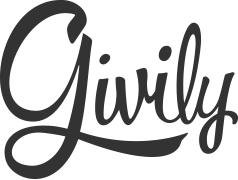 Givily is the first platform to market to help values-driven companies manage requests for both product donations and sponsorships. The platform is a valuable asset to companies who manufacture and sell retail products, and who often receive thousands of donation requests per year. Givily realizes there are actually two end users of their product: the nonprofit/community organizations that depend on donations to fulfill their missions, and the direct clients of Givily who are seeking to maximize the impact of their corporate social responsibility programs. Givily provides such a seamless, user-friendly experience that clients instantly and organically building credibility with the end-users they are benefiting through their donations. Givily hired HPC to drive its B Corp re-certification process in 2017. Originally certified in 2014, Givily’s leadership found itself stretched thin and sought assistance to complete its re-certification. In just under 3 months, HPC and Givily celebrated their re-certification with 105 points! “One of the best things Heather provided for me was not having to take on the burden of one more thing as a CEO - all I needed to do was answer Heather’s questions when she asked/emailed me. Done! Since 1979, FloBeds has sought to change how mattresses are made, customizing a solution for each sleeper and addressing the industry problem of waste-to-landfill. Using natural latex, organic cotton and organic wool from sheep raised humanely creates the best, most comfortable and healthiest mattress money can buy. With its long history of ethical operations, FloBeds decided that B Corp Certification would provide third-party verification of its best practices and provide a source for inspiration for continuous improvement. Because their small staff is busy with daily operations, FloBeds hired HPC to facilitate its B Corp Certification project. HPC partnered with FloBeds to complete its B Corp Certification within 6 months, and HPC provided a strategic set of recommendations to further enhance the company’s social and environmental impacts over the two-year certification period. "The FloBeds Team is so proud of being a B Corp. I don’t think we would have worked through the certification process without Heather helping us recognize our existing B Corp qualities and knowing where to apply them to the certification standards. In business one is always having to take care of the customers, employees and production and I fear we would have let the application go dormant without Heather." The Color Mill is a design and office services company dedicated to good design, sustainable products and local economic development. The Color Mill sought to join the vibrant global community of Certified B Corps and hired HPC to steward their certification project. Through a series of facilitated bi-weekly meetings with the leadership team at The Color Mill, HPC successfully helped the company achieve B Corp Certification in under 4 months! Bison Media partnered with HPC to complete its B Corp Certification in 2017. HPC helped Bison Media earn B Corp Certification, and along the way Bison implemented several operational improvements (formalizing best practices into policy, developing systems to track and reduce waste, and to better understand its supply chain) that resulted in an impressive certification score of 103 points. Mendocino Coast District Hospital is an independent healthcare provider and hospital serving northern California’s Mendocino Coast. MCDH contracted with HPC for two distinct projects in 2016: 1) Collaborate with clinic leaders to write a grant application worth up to $3.75 million over 5 years, and 2) Produce a Community Health Needs Assessment for the Mendocino Coast Healthcare District. Project 1: HPC partnered with clinic leadership to craft a successful grant application within a two-week window to meet the application deadline. Subsequently MCDH was awarded a PRIME grant, with funding of up to $750,000/year for 5 years (a total of $3.75 million if all program requirements are met to their maximum potential over the grant period). Project 2: HPC drew upon data and resources from local, state and federal sources to produce MCDH’s 2016 Community Health Needs Assessment, as required by regulation.